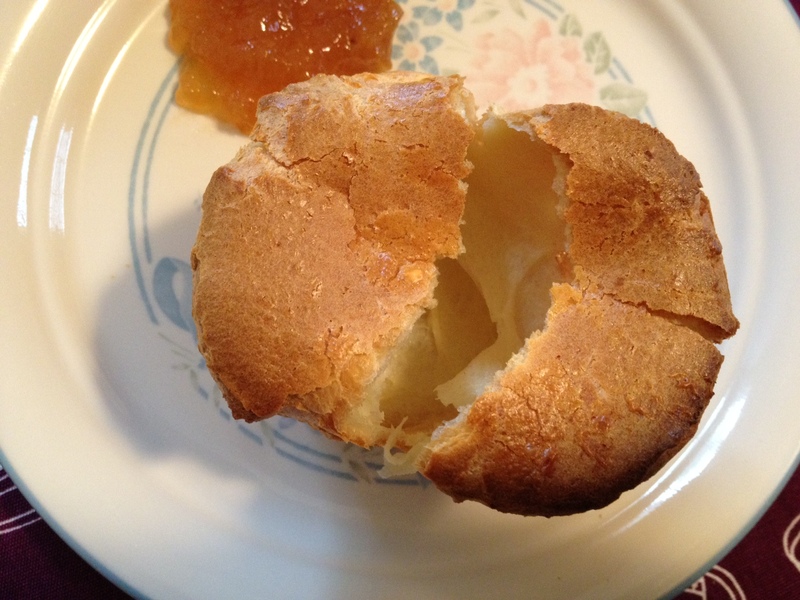 These popovers are likely the easiest recipe from Baking with Julia. Unlike some of the recipes that are pages and pages long with ingredient lists that empty my checking account, this one was simple enough to make for breakfast on Sunday. So anyways, I was reading the paper and considering my breakfast options. 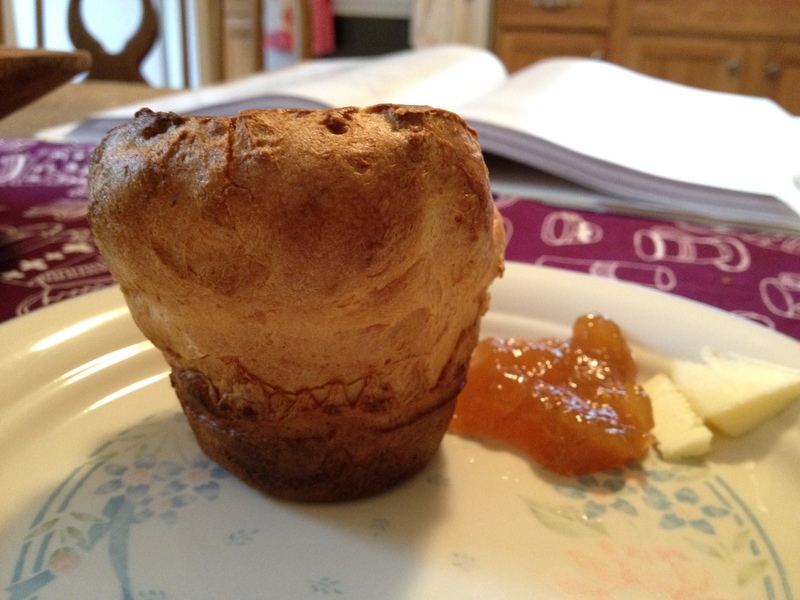 I opened up my cookbook and decided that popovers would be perfect. 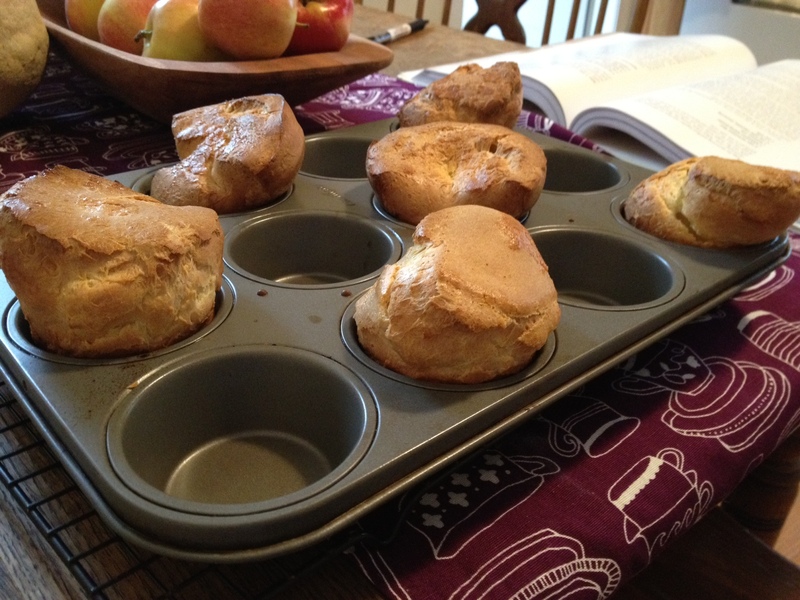 Being that I didn’t need 10 huge popovers that are only good right out of the oven, I halved the recipe. 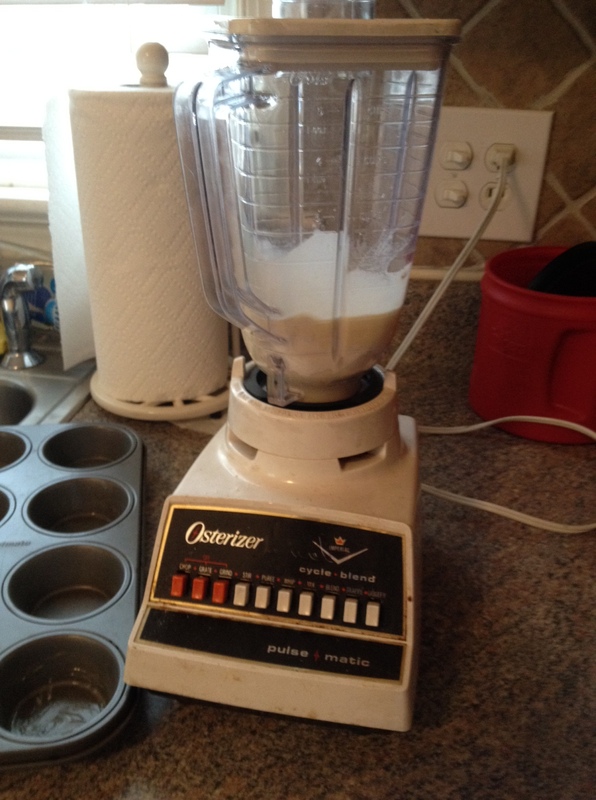 In the blender, I mixed flour, butter, eggs, milk and salt. Pour it into muffin cups, bake and that’s it. Seriously. I wished that the popovers had some other type of flavors though. I think cheese or herbs would be a good addition, or perhaps some type of sweetener. I ate them with homemade peach jam and butter. I’m not ashamed to say, I ate three for breakfast, because really, is there anything bad about them? And they’re essentially empty on the insides. Find the recipe at Bake with Amy and Vintage Kitchen Notes. If you’re wondering why I haven’t been cooking as much as I used to, here you go: Rachel. 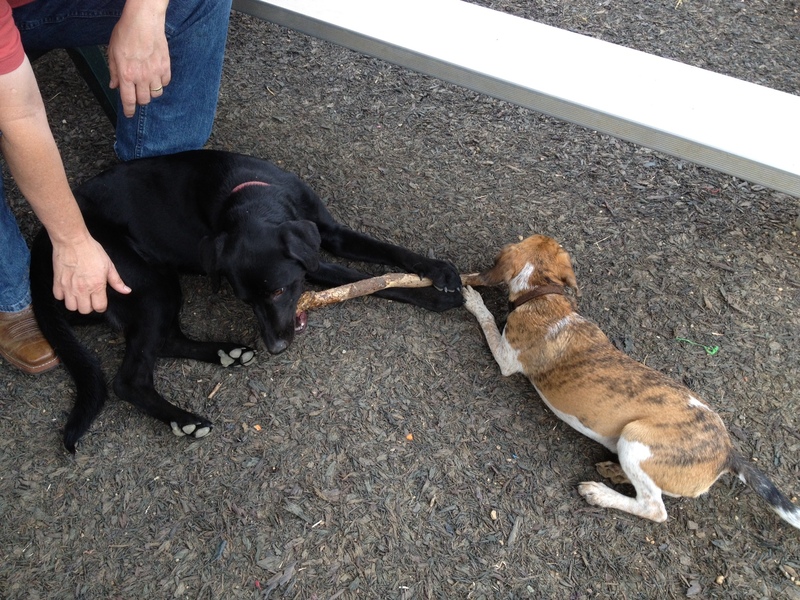 We spend so much time at the dog park in the mornings and evenings! Finding sticks to chew while simultaneously being petted is her favorite. Though we’ve been busy, I haven’t sacrificed my meals. 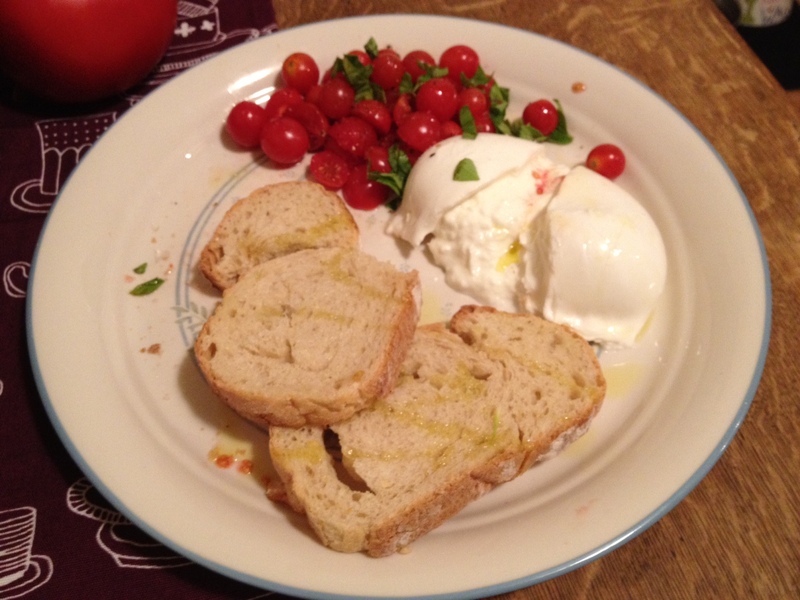 Here’s an extremely simple dinner I made after our first evening at puppy school: tiny tomatoes with olive oil and basil, alongside extremely creamy burrata and garlic bread (toast slices of bread and then rub a clove of garlic on top. Add butter or oil if you want!) Yum! I’m going to be so devastated when summer ends and tomatoes are gone, because they form some of the most rewarding summer meals. Katie – we used to make these all the time when you were little. You can put parmesan and/or herbs in them and they are delicious. I think I’ll make a half recipe tonight to go along with our fish. Glad you enjoyed this recipe–we loved it! Enjoy your time with your puppies. We had to put our beautiful faithful golden lab to sleep last night. After over 12 years she was just wore out. I’ve looked outside a dozen times today expecting to see her romp in our backyard paradise. She was a part of our lives–we miss her. Cindy- I am very sad for you- we have precious Dachsies & had to put a 20 year old down last year. It breaks your heart! Dogs in the park are a great excuse for not keeping up with your posts!